In 2014, over 6 million Canadians were aged 65 or older, representing 15.6 per cent of Canada's population. Although most seniors drive carefully, statistics show that people aged 70 or older have a higher accident rate per kilometre driven than any other age group except young male drivers, still the highest risk category. 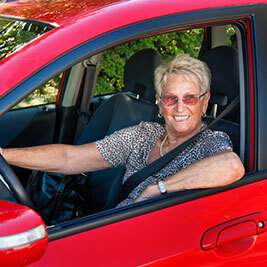 In addition, seniors are more likely than younger people to be killed when they are involved in a collision. KANETIX.ca's own data on at-fault collisions shows that senior drivers are more likely to admit to have been involved in an at-fault accident in the last 10 years. The good news is that a study out of the U.S.-based Insurance Institute For Highway Safety found that "today's older drivers are not only less likely to be involved in crashes than prior generations, they are less likely to be killed or seriously injured if they do crash." The study also went further to say, "That's likely because vehicles are safer and seniors are generally healthier."